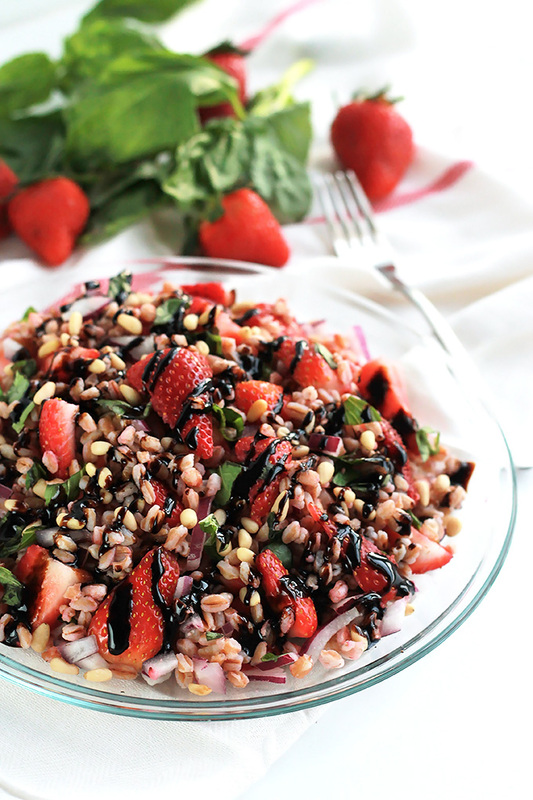 The tender bite of Farro, sweetness of Strawberries and the earthiness of fresh basil makes this Strawberry Basil Farro Salad the perfect combination of sweet and savory. This salad is fast becoming my favorite go to lunch on my super busy days. However, my first experience with farro was several years ago when I prepared it for my sick child as a hot breakfast cereal. I used half almond milk and half water to boil the farro, to serve it I mixed in a bit more almond milk, agave nectar, berries and finished it off with a topping of granola and walnuts. My daughter feel in love with it and would ask for it often, and this is from a person who is not very fond of breakfast and this was a hot breakfast cereal. This time I’m making it the main ingredient in a tasty salad. 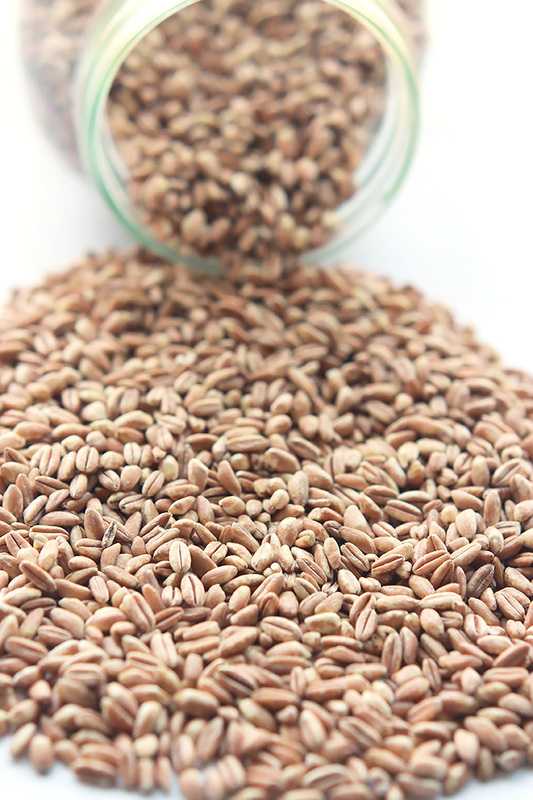 What is farro you ask? Farro is a very filling whole grain complex carbohydrate that’s high in fiber, good source of iron, protein and provides sustained energy. For this recipe I used Bob’s Red Mill Organic Farro which I soaked overnight to cut the cooking time to about 10 minutes, instead of 30 minutes. The farro was paired with these beautiful strawberries and fresh basil to make a hearty, wholesome salad that is hard to resist. Tender, sweet, earthy, crunchy are all words I use to describe this beautiful salad. 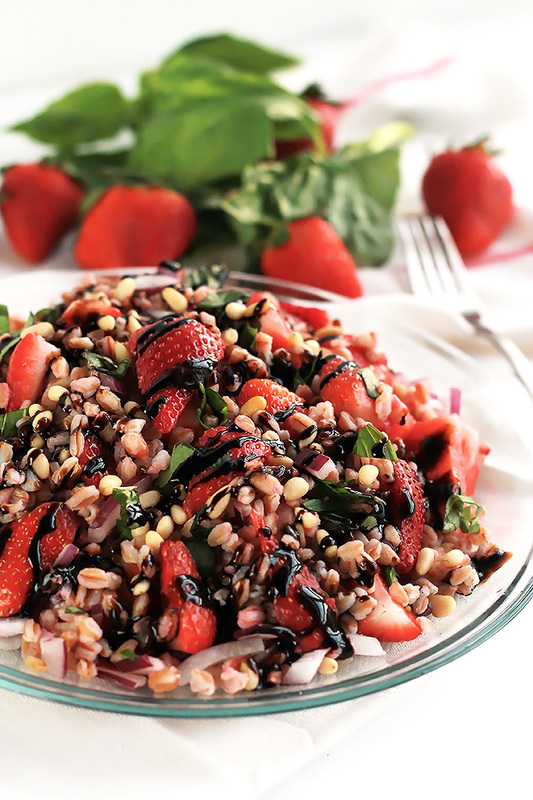 To bring it all together a balsamic glaze is drizzled over the top, which acts as a dressing. You can purchase or make your own glaze, you an find my recipe here. If you make this recipe or a version of it, take a picture and share with me on Instagram, tag it #thewholeserving or leave a comment below. 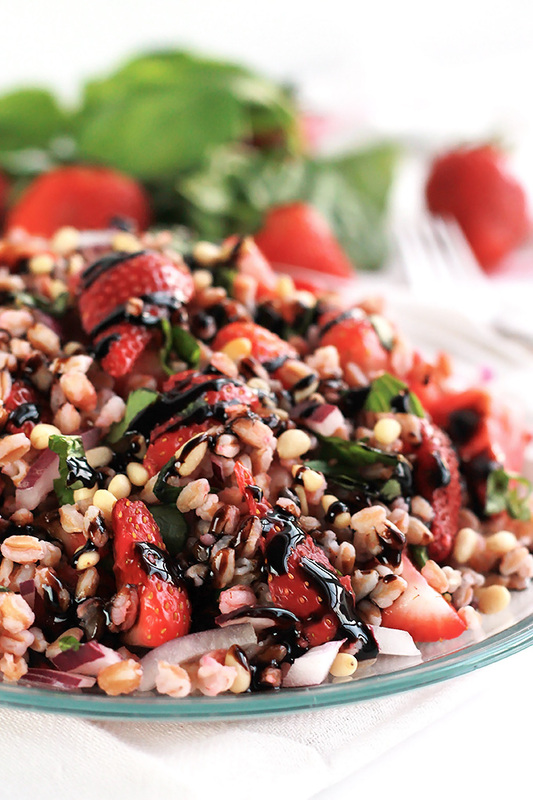 I’d love to see your version of this Strawberry Basil Farro Salad. Prepare the farro using the direct or pre-soak method. I used the pre-soak method. While farro is cooking wash and prepare the other ingredients. When farro is ready, drain and transfer to a large bowl. Add in the strawberries, onions, lemon juice, basil, and nuts, toss together. This salad can be served at room temperature or cold from the fridge. celery, cranberries, apples, cucumbers, grapes, olives, green onions. I have never tried using farro in a salad with fruit, but it looks delicious! That balsamic glaze… Yum! All of these flavors come together so beautifully. Yum! This looks like the perfect side for spring or summer!! You’re right Morgan, this would be great for a spring or summer gathering. I have never tried farro. This is such a beautiful Spring salad. Pinning it to make later! Farro is one of my picky daughters favorite. I hope you give it a try. Now, this is my kind of salad. So healthy, so gorgeous. Yep, I pinned it! I absolutely can’t wait to try this. Fab photos too! Thanks Ginger, I hope you and your family enjoy it as much as we do over here. Oh I wish I had a strawberry plant, although I’m not very good with plants, I like giving it a try. Thank you Jess1 have a great week. This is delicious Celeste! I’ve never had farro before, you make it look so inviting. Added to my to eat list. 🙂 Thanks for sharing this one! I hope you like it. Have a great week and enjoy your Easter weekend. Thanks Tamar, it really is very delicious. I hope you have a chance to give it a try. This is one beautiful salad Celeste! Thanks for the introduction to farro and these gorgeous pictures. I’m growing quite bored with my traditional veggie salad and I believe this will wake up my taste buds. Thanks also for sharing this at Celebrate Your Story link party and we hope you join us again. Have a peaceful and fun holiday weekend. I love anything with faro and this looks amazing! Pinning and can’t wait to try it! I hope you like as much as I do, can’t get enough. I’m always looking for different types of salad. This one looks so refreshing. I’ve never tried (or heard of) farro. Sounds like something I should check out. Thanks for linking up at Over The Moon! Thanks Rene, I hope you give farro a try. Celeste, I have been seeing things all week that scream spring to me but this takes the cake! 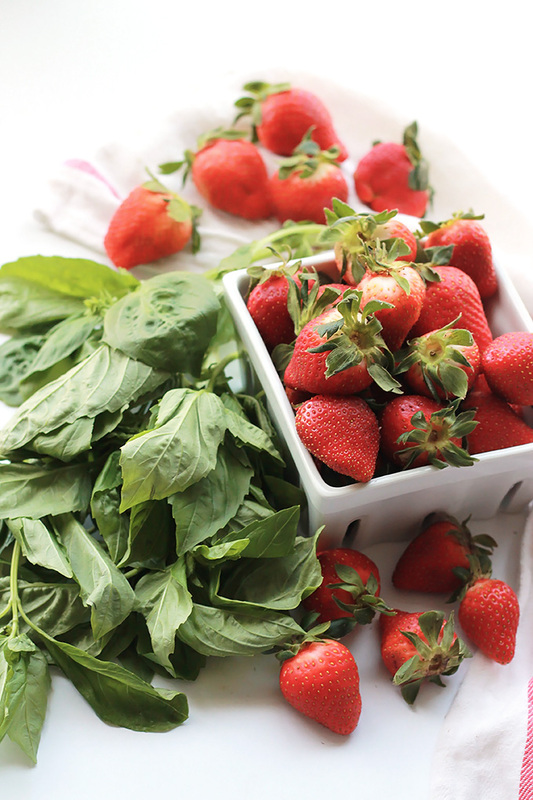 Strawberries and fresh basil, yum! 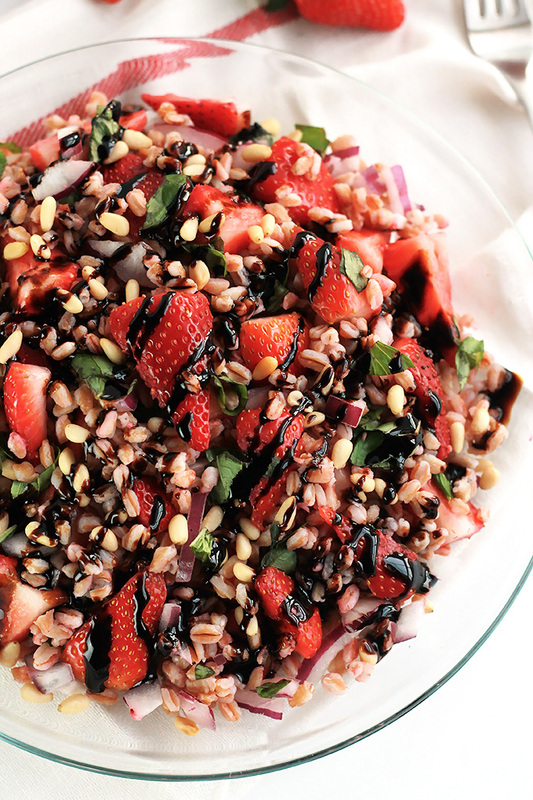 I’ve never had farro, but the combination of the fruit fresh, herbs and balsamic vinegar makes this a winner for me. Definitely pinning this so that I can make one for myself. It’s really quite delicious, and I love the sweet and savory combination. I’m looking forward to coming up with more salads that aren’t just lettuce and tomatoes. This looks stunning! I have never had farro, but I love most grains. And I adore salads with fresh berries! Can’t wait to give this a try! 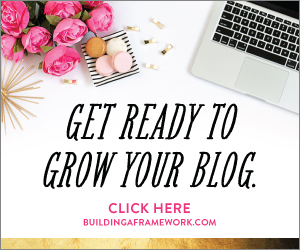 Thank you for sharing at the Celebrate Your Story Link Up Party. This salad looks incredible and I can’t wait to see what you have to share next week. Happy Easter! Thank you Danielle, I’m glad you like it. I hope you had a Happy Easter weekend! Thanks Winnie, I hope you had a wonderful weekend and your week is off to a great start. This looks packed full of nutrients and flavor! 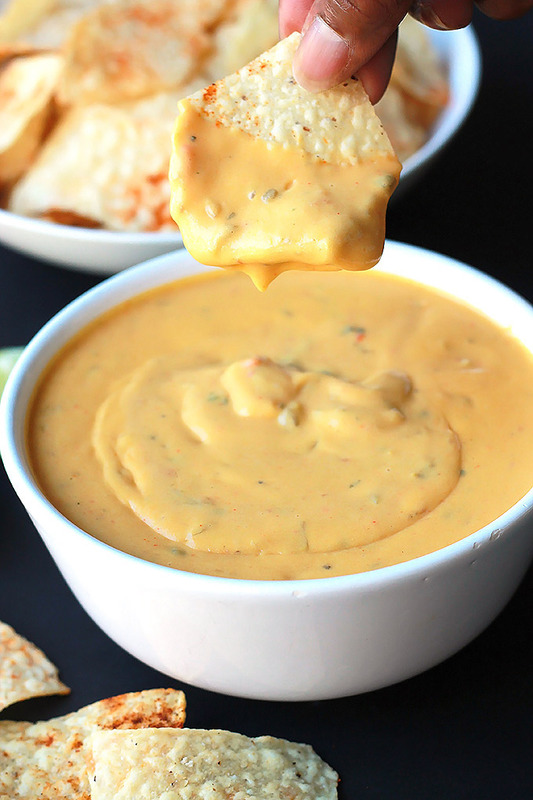 A perfect summer dish! Farro has become one of my favorites, and this is so delicious. This salad is exceptional! I made it two nights ago for my family and everyone raved about it. Thank you for such a fantastic recipe to add to my meals! Jenn I am so glad to hear that, it makes my heart sing. Did you take a picture? I did not take a picture but I will next time for you. By the way, the new recipe for the blackberry balsamic glaze sounds so yummy! Thank you so much for the great recipes!!! You are so welcome Jenn, I’m glad you are enjoying them, I’m having fun making them.